Looks like it's time for a different kind of dating show, are you Ready For Love? 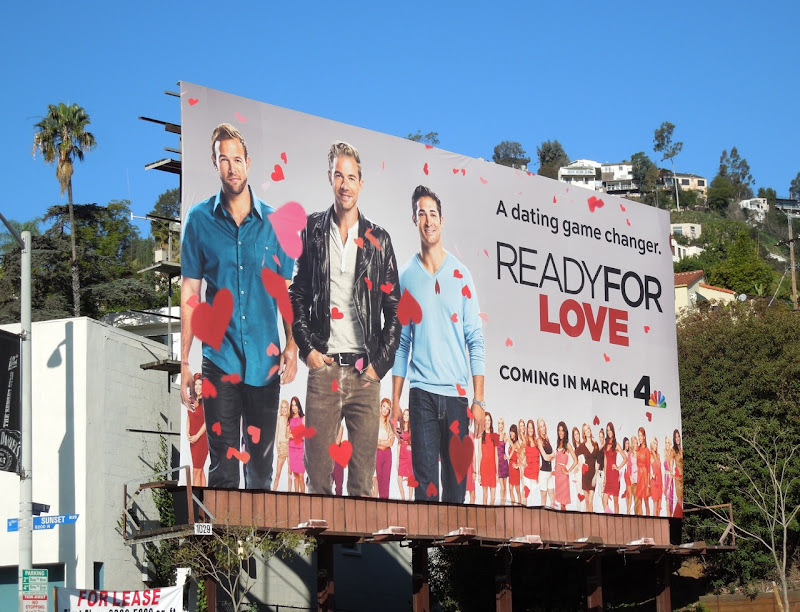 Why have just one bachelor when you can have three, right? 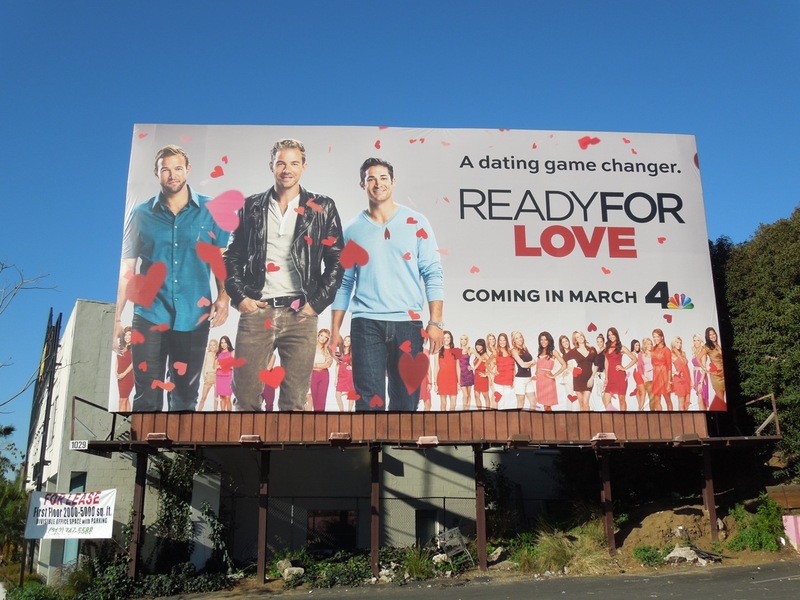 At least that's what NBC thinks. 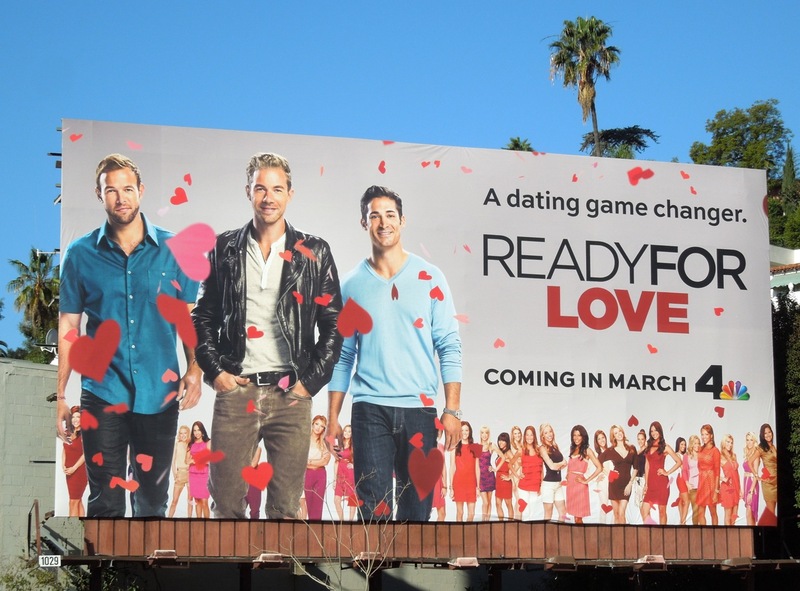 Hosted by reality lovebirds Bill and Giuliana Rancic, this new series sees three matchmakers trying to find the right girl for a trio of different guys. 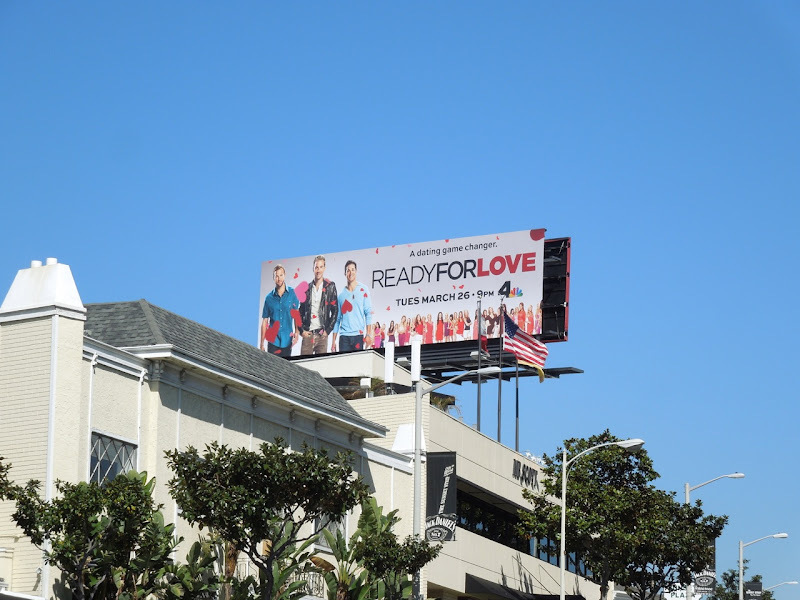 This billboard showing that love is in the air was spied along Sunset Boulevard on February 12, 2013. 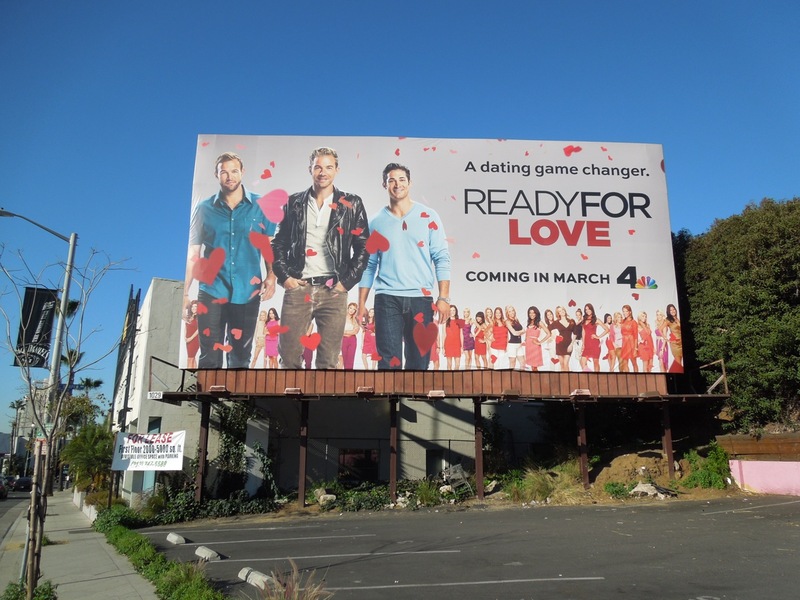 UPDATED: As if this big tease wasn't enough, here's a standard landscape billboard for the new dating show, now with an air date, snapped along L.A.'s Sunset Strip on March 11, 2013. 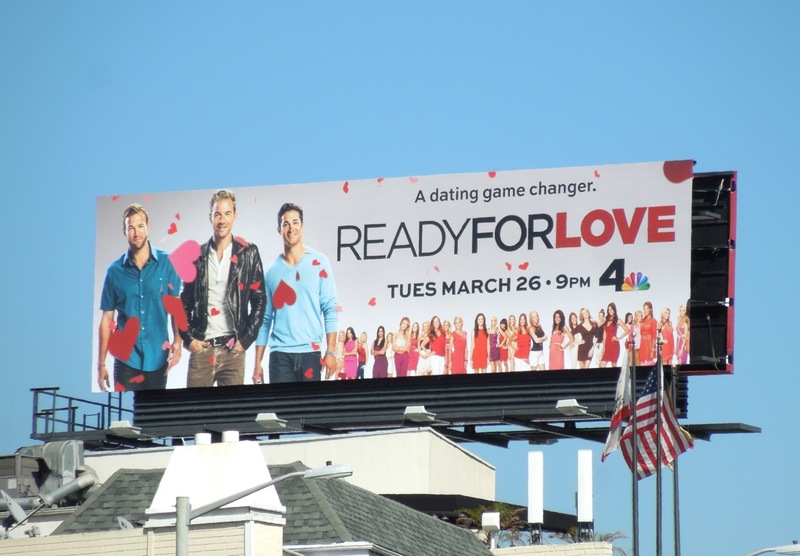 And you say NBC is having ratings problems? 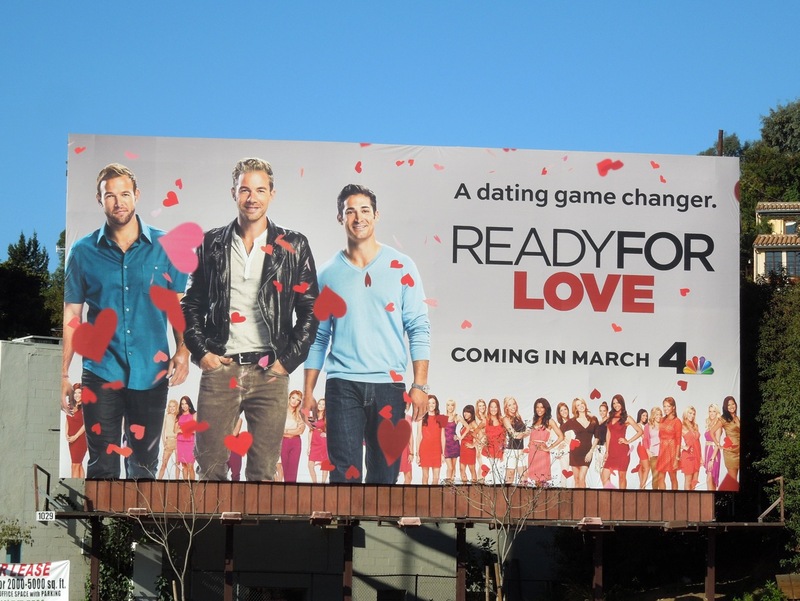 Maybe they should look at the originality of their offerings for a start.